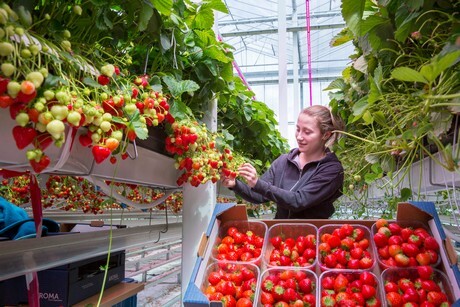 Brookberries, is one of the first strawberry growers in the Netherlands that chooses Philips GreenPower LED toplighting to move to an earlier crop and year-round production. The company gradually equipped all its locations with LED flowering lamps from 2012 onwards. 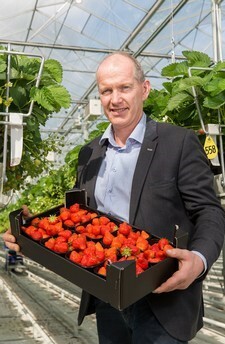 Codema B-E de Lier has carried out the installation of the LED toplighting at Brookberries. Werner van Mullekom, Sales Manager at Codema B-E De Lier tells: ‘’Codema B-E de Lier is a long-term Philips Horti LED partner and we work closely together to meet the growing demand for LED toplighting amongst growers.’’ With the LED’s the crop can be produced 10 to 11 weeks earlier, resulting in higher prices. This gives strawberry growers a more predictable offer to their customers.